Angela V. Cook: Goats in the Windy City! Goats in the Windy City! On July 16th, I traveled to Chicago to meet up with a bunch of writer friends whom I've known for about three years (some of them longer). 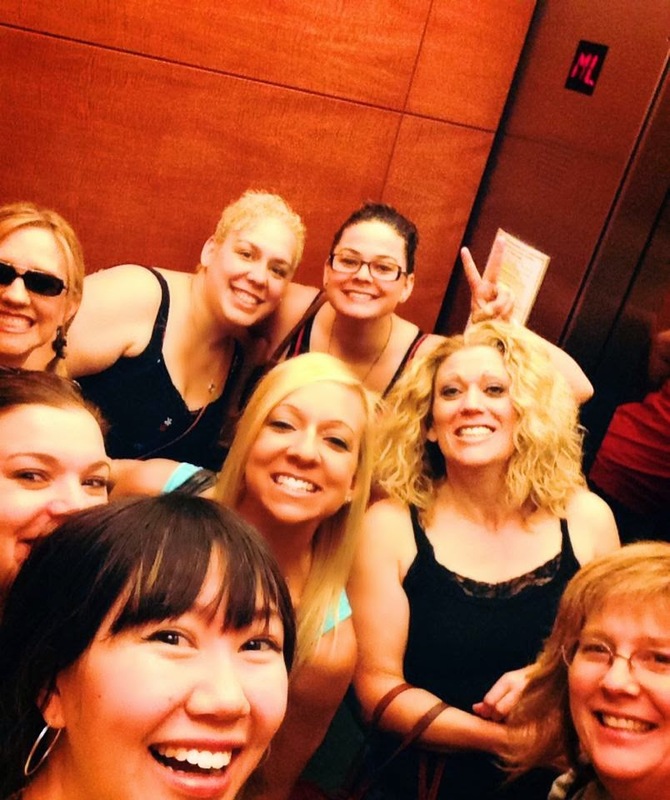 We had all met through various social networks (QueryTracker, Twitter, Blogs), and eventually about a dozen of us congregated in a private group on Facebook. We call ourselves "The Goat Posse" (needless to say, there's a long, strange, complicated story behind the name). The group has gained some members over the years, but wanting to keep the group close and tight-knit, we decided to close the pasture gates when the group reached eighteen--super cool, super talented--members. Most of them are listed here. 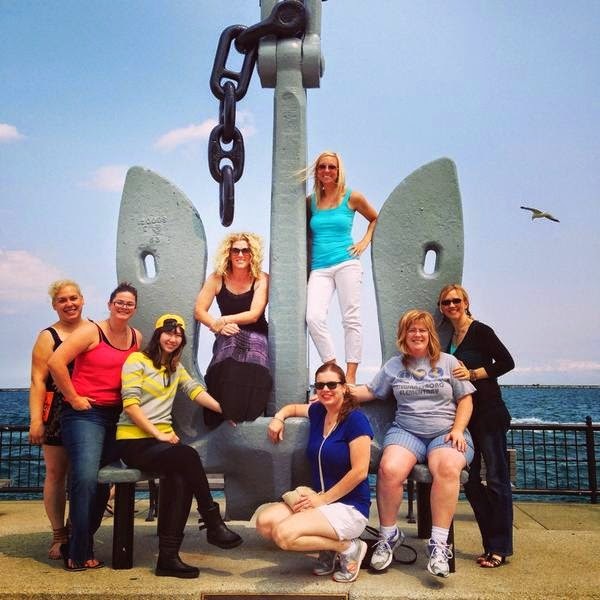 This year, eight of us were able to meet up in Chicago for three days of fun, laughter, and writing (okay, half of us did some writing, the other half decided to tour the city, and seeing as how I'd just finished my content edits and needed a break from writing, I was in the latter group :) ). These girls are some of the most amazing people I've ever met. We're all different ages, come from different parts of the country, have different styles of writing, and different personalities, but somehow we got along amazingly well. Maybe it's our love of writing that ties us all together or our understanding of what each other is going through as we find our way through the publishing world. Either way, getting to hang out with these ladies was one of the greatest experiences of my life. 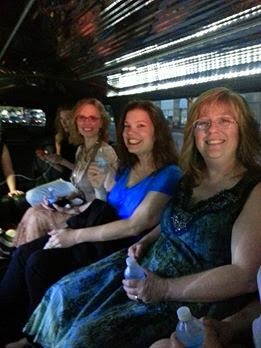 Here we are in the limo (goats travel in style, yo), on our way to the book signing (see the next picture). 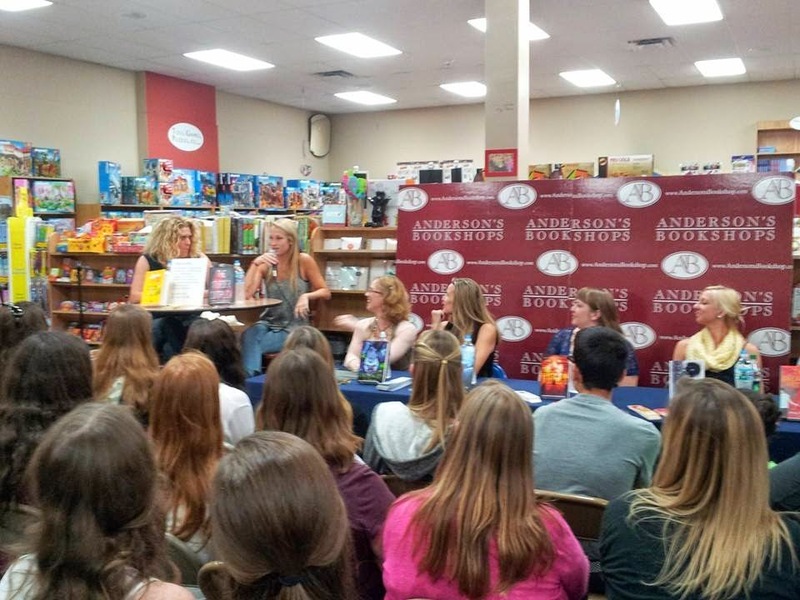 At Anderson's Bookshop, where authors (and fellow goats) Bethany Crandell, A.G. Howard, and A. Lynden Rolland participated in a Q&A and book signing. EEK! Love all those faces too! I went back and looked at my bio on JLo's Goat Posse page and I sound like a dufus...lol.. I need to go back and write a new one. #perfectionistgoat ;) Love you bunches!! Awww I'm so sad I missed out! Love you guys :) Love these pics and faces and writers!